In the end, remember, you are having a conversation. Exposure does not improve learning outcomes. Make a point of going to them ASAP to try and build a bridge. REGIS: The website about workshops. Find them, apply for them. Action is not assessed, HOWEVER, it is the fundamental goal of an IB education and evidence which can be reported. This is not laid out as a point in the documentation. Chuckers or Keepers: Which ones are.... Which ones are not? Citing authors on slide with more specification citation at the end works. Diplomacy is paramount when leading workshops. End with a video cool down. 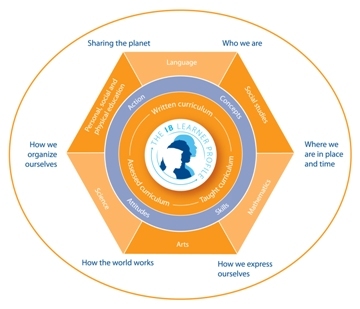 PYP image copyright held by International Baccalaureate.